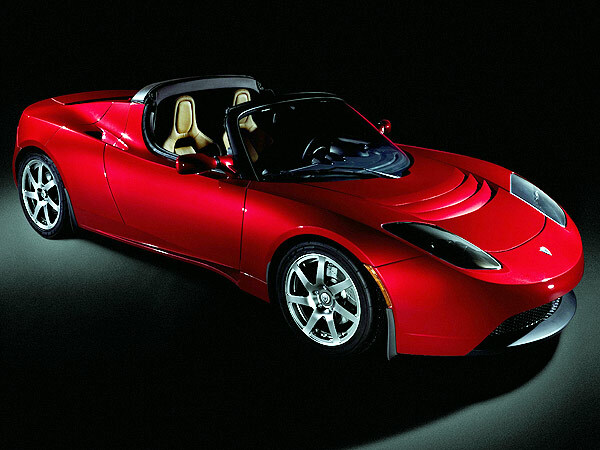 After a few hairy years, things seem to be looking up for Tesla Motors. I always liked them because I don’t myself want to buy an electric vehicle that looks like a Vauxhall Cavalier (no offence meant). The famous Toyota Prius is beloved of rock and movie stars who keep it ostentatiously in their drive as a second car while actually using a Lotus or Ferrari. The Prius doesn’t have an image that appeals to them, and it looks rather ordinary for my tastes. I think the future lies in gas-fired power stations using shale gas obtained by fracking, coupled with electric cars in our cities with batteries charged from those power stations. We thus solve the problems of energy shortage and pollution simultaneously. But I want a car that looks cool. I don’t mind a sheep in wolf’s clothing as long as it looks like a wolf. Tesla seems to meet my requirements. When Tesla was founded, it was based on an idea from J.B. Straubel, now Tesla’s chief technology officer, that commodity lithium-ion batteries designed for portable electronics could be used to make relatively low-cost battery packs for electric vehicles. Thousands of the small, cylindrical cells could be wired together to provide enough energy and power to propel a vehicle for hundreds of miles.